"I decided to give back to Cathedral because I had a very solid education. Those are the values that have followed me over time… I want to give young women an environment in which they can excel and opportunities unmatched by other places." Your gift is an investment in the young women who will become tomorrow’s leaders. Our 2018-2019 goal is to raise $1,200,000 and to have 100% alumnae participation. Last year only 9.3% of Cathedral alumnae gave to the Annual Fund. Help guarantee Cathedral’s legacy, part of your own legacy, to provide a vital and competitive educational alternative for many of New York City’s working class families. You will be providing the financial support Cathedral needs to survive and prosper. Gifts of all sizes to Cathedral High School have an immediate and purposeful impact in providing a quality,al alumnae gave to the Annual Fund. Help guarantee Cathedral’s legacy, part of your own legacy, to provide a vital and competitive educational alternative for many of New York City’s working class families. You will be providing the financial support Cathedral needs to survive and prosper.re several flexible ways to lend your support to our community. You can make your tax deductible gift online by clicking here. The Annual Fund is an important source of unrestricted gifts that help meet critical operating needs and allow Cathedral to continue its mission. As we are no longer supported by the Archdiocese, your gift to the Annual Fund is critical to sustaining our ability to make CHS accessible and affordable.If you are interested in doubling the impact of your gift, please ask your Human Resources office to see if your employer will match your gift to the Cathedral Spires Foundation. A sustaining giver is someone who commits to making an ongoing contribution, typically monthly, of a set amount. As such, you provide vital support so that CHS can continue to operate throughout the year, and improve upon its growing curriculum and programs. Set up a monthly recurring gift to Cathedral Spires Foundation, and become a sustaining giver today. Generous alumnae and friends who have included Cathedral High School in their estate plans are recognized with membership in the Legacy Society. Giving through your estate plan enables you to make a gift that may not be possible now, yet may give you a great deal of satisfaction to know your future gift will live on. You can name Cathedral High School as the beneficiary of a portion of your estate in your will, or as a beneficiary designation on your retirement plan, life insurance, etc. Cathedral High School welcomes the establishment of named, permanently endowed scholarship funds in memory of or in honor of the individual(s) or family named – by providing an initial contribution of at least $10,000 and a long-term commitment for a permanently endowed scholarship of $100,000 or more. Cathedral also provides the opportunity to directly support a current student in need by making a scholarship gift. These gifts help many students year after year who would be unable to attend CHS without financial support. 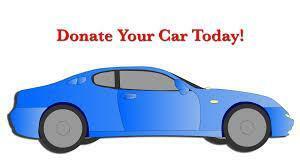 You can now donate your car to Cathedral, and receive a valuable tax deducti on. You benefit by being able to reduce your taxable income, and you avoid the costs associated with selling your car. No need to pay for advertising, no loss of privacy and possible security risk, and no need to pay for vehicle registration, insurance, and repairs to keep your car in running condition while you wait for a buyer. Donate through this link or via phone at 855-500-RIDE (7433).